I’ve always loved Hacktoberfest and the idea of incentivizing people to contribute to open source. A lot of attention goes to engineers that build new features, or refactor code. These are important things BUT for the month of November, we want to focus on the contributions of DevOps. DevOps done well makes engineers more productive and successful. Creating and automating pipelines, adding testing, or just fixing bugs can make our projects in 2019 much more successful. So this year Codefresh is launching “Fixvember,” a DevOps Hackathon. Read on to learn how you can earn a special edition t-shirt! It’s a chance to fix all the stuff you hacked in October 😛. This amazing, limited edition, one-of-a-kind, fantabulous t-shirt can be yours. Here’s how to participate. Step 2: Make 3 open source contributions that improve DevOps. This could be adding/updating a Codefresh pipeline to a repo, adding tests or validation to a repo, or just fixing bugs. There, you don’t have any excuse not to start bringing the Fix to November. 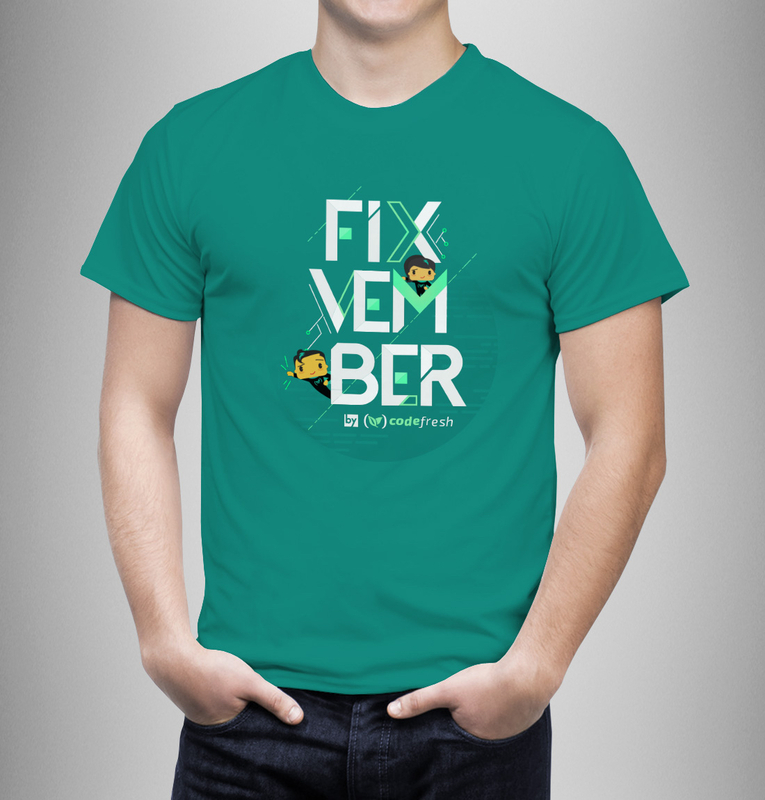 Now get over to codefresh.io/fixvember and start fix’in!